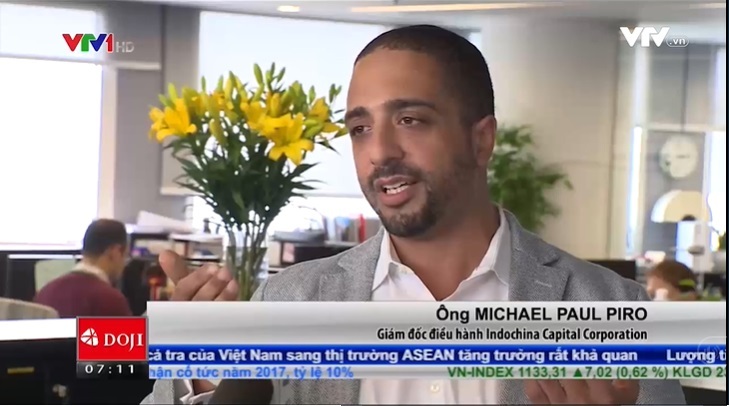 VTV1 featured Michael Piro, Chief Operating Officer of Indochina Capital, in its Finance and Business News broadcasted on 13 March (Ban tin Tai chinh Kinh doanh Sang) following an interview on the development and management of condotels in Vietnam conducted at Indochina Capital’s Hanoi office one day before. ” In Vietnam there is a tremendous opportunity for condotel product. Condotels typically find themselves in resort areas, where people go for holiday destinations. If you look at Vietnam, it has about a 3200+ km coast line, so naturally you’re going to find a lot of hotel and hospitality development associated with the beach, associated with the coastline so naturally, it makes Vietnam an attractive destination for a condotel product”, said Michael. The interview is also set to be shown at the Condotel Investment Conference on 16 March 2018 in FLC Quy Nhon.